Fudgy brownies or cakey brownies? A question that has plagued many throughout time and that has sparked lively debates around kitchen tables, potlucks, and bake sales. I know that opinions are opinions, but as far as I’m concerned I believe that the only way to make a brownie is a fudgy one. If you want chocolate cake, make a cake. Brownies must be fudgy, dense, rich, and gooey. Also brownies should be (stupid) easy to make — a one-bowl wonder that requires no mixer and only a bit of patience to wait for them to bake and cool a little before eating. So what if I tell you that this recipe right here is the simplest brownie recipe there is? You really should, because these 3-Ingredient Fudgy Chocolate Blender Brownies are really something. 3 basic ingredients, a blender (or a food processor), and 20 minutes baking time is all you need to make these bad boys happen in your kitchen. The brownies are so fudgy, moist, thick, and chocolatey you’d never be able to tell they’re made without fat, flour, eggs, or sugar. They have that intense chocolate punch that I am always looking for in a good brownie, and a first-rate melt-in-your-mouth consistency. Now stop reading this and go make ‘em! 3-Ingredient Fudgy Chocolate Blender Brownies Print this recipe! Note. 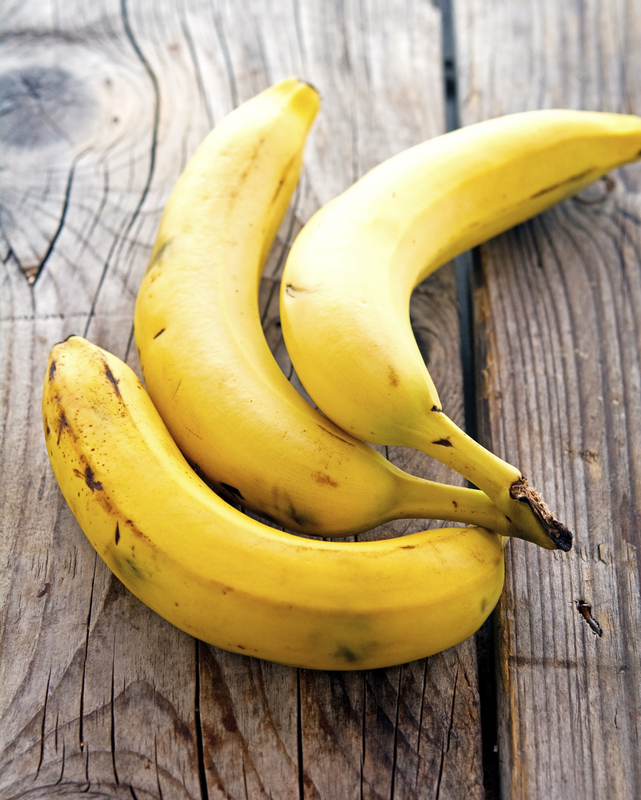 The bananas need to be frozen for this recipe to work. If you still want to use non-frozen bananas expect a less fudgy consistency. Preheat the oven the 350°F (175°C) and place a rack in the middle. Grease a small loaf pan and set aside. Place bananas, almond butter, and cocoa in a blender (or food processor) and pulse until smooth. You might need to stop the blender from time to time to scrape down the sides. Pour the mixture into the greased pan and bake for about 20 minutes, or until cooked through. Let cool completely on a rack before removing from pan. Slice into squares and devour! 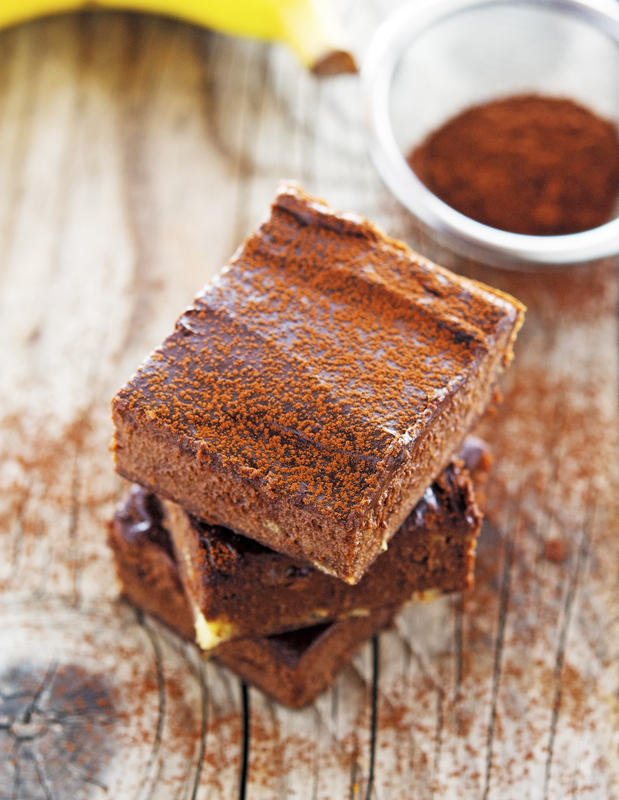 One brownie yields 142 calories, 9 grams of fat, 16 grams of carbs, and 5 grams of protein. Ohdeargawsh! I'm weak in the knees just looking at this awesmazing spectacle - and it has only 3 ingredients without any refined sugar! To share some words of wisdom a friend once shared with me "chocolate is my love language" and looking at this, I'm just overwhelmed - with LOVE! Thanks for sharing an adapted version of Arman's recipe, Mike! Ooof, while I'll take any brownie, cakey or fudgy, I have a deep seeded love for the fudgy varietal. I'm LOVING the fact that I can whip these up in no time at all...I always have a constant supply of ripe bananas in the freezer and almond flour and cocoa powder in the pantry, so you best believe these are going to be a staple in my life. Bravo, I say! I LOVE fudgy brownies and can't believe this recipe only calls for three ingredients! Can't wait to make it. Does anyone like cakey brownies?! That's not a brownie... that's just chocolate cake and I am definitely NOT ok with that. I know right? Brownies need to be fudgy. Period! FINALLY someone puts in writing what a brownie should be and how anything not fudgy is a bastardization of a classic. No bueno. It is cake, which might be pretty good too, but brownie it is not. Omg!! Are you kidding me?!! I am so making these!!!! I’m Team Fudgy Brownies! A square chocolate cake, ha, great one! No fat, flour, eggs, or sugar? I need to try this, genius Mike! Read the ingredients and am trying tomorrow. Nice! Absolutely agree, Mike! Brownies have to be the way you've described them. Everything different from this cannot keep this proud name. And you've surprised me too - I've never seen such a recipe. 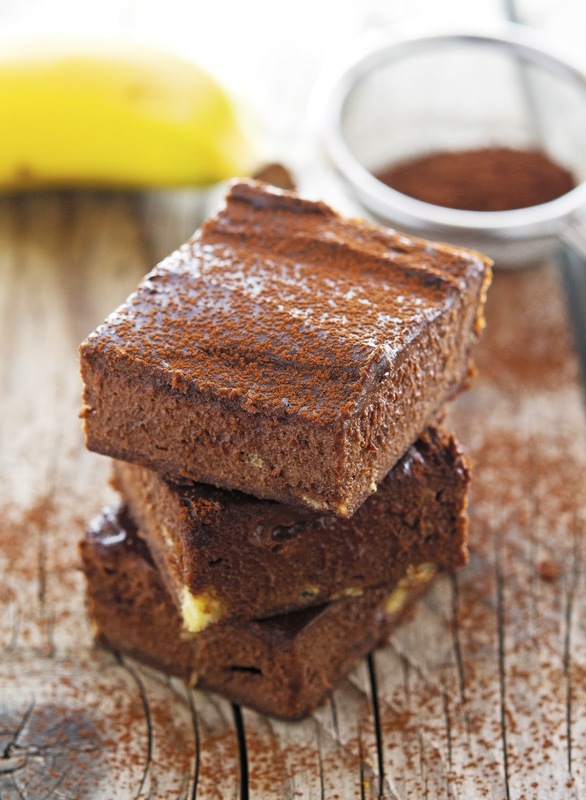 Not only the brownies look impeccable, I also like this healthier version which I may need to try soon. Excellent work! Oh my goodness, you took the words right out of my mouth! 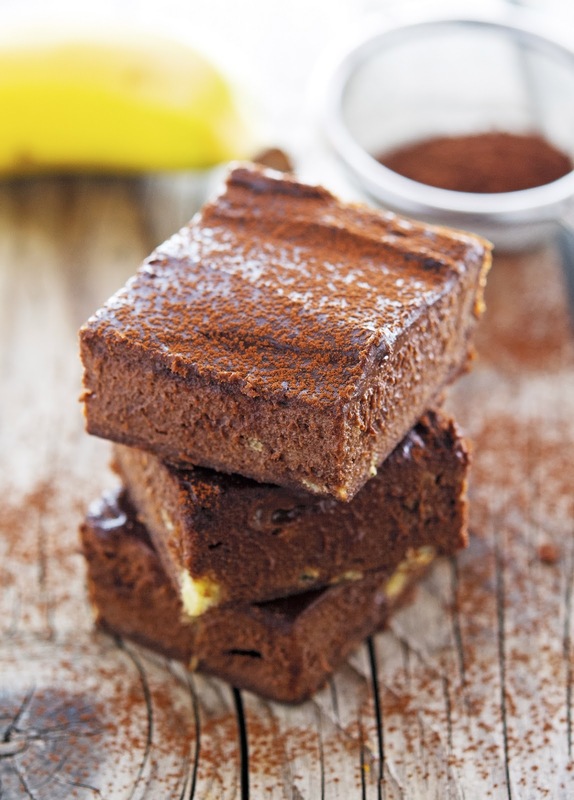 Why on earth would you want cakey brownies, just have cake, fudgy is the only way to go! Not a fan of banana - any alternatives? do you think you can add a splash of coffee and some vanilla extract for more depth of flavor?